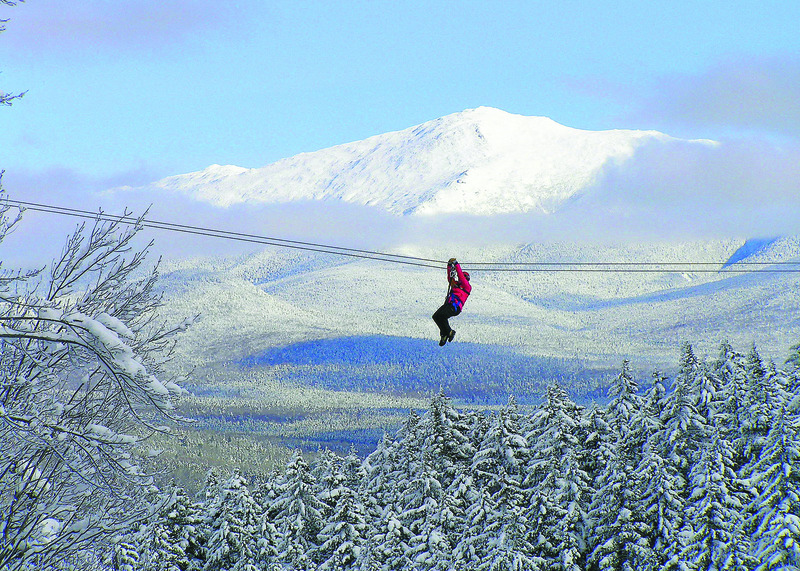 It’s an exciting time in New Hampshire’s Grand North if getting your adrenaline running is your goal! You’ll find a wide variety of action-packed activities. If you want a motorized adventure, Ride The Wilds offers over 1,000 miles of inter-connected ATV trails. You can rush down stretches of clean, rushing, mountain-fed whitewaters with several of our businesses. If you want to get high above the ground try adventuring from platform to platform on an aerial adventure course. In the winter months charge across fields behind a team of sled dogs or ski down snowy slopes. You’ll find a wide variety of exciting hair-raising activities within close proximity to each other!